The destruction of the Metropolitan Building in downtown Minneapolis in the early 1960s has become an icon of the excesses of urban renewal. This film, produced by graduate students at the University of Minnesota in 1961, shows the building and its destruction, tied together with a remarkable original jazz score. This past May, the Star Tribune reported on the discovery of granite slabs from the Metropolitan Building found in a scrap yard in Delano. Bring the Metropolitan Back to Minneapolis, a group working with the Minneapolis Parks Foundation to raise funds to preserve some of these remains, first posted this video; you can find them on Facebook. 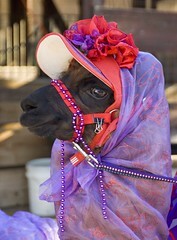 The food, the animals, the hats, the people, the food, the rides, THE FAIR! Minnesota’s annual summer ritual is in full swing. Want to see something new? 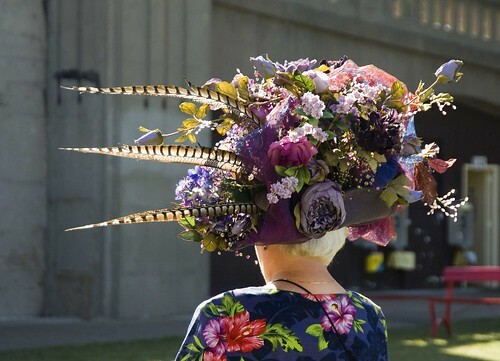 Before you go, sharpen your eye by looking at Susan Miller’s State Fair: The Great Minnesota Get-Together, full of fresh and funny images from all across the grounds. Can’t get there this year? Her book will take you on a whirlwind virtual tour, with joyous juxtapositions of the best of the best. Come visit the MHS Press at the State Fair on September 5th at Carousel Park for Minnesota History Day! 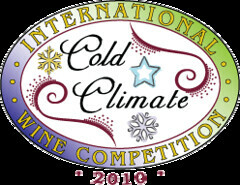 This is the second year for the International Cold Climate Wine Competition, which is sponsored by the Minnesota Grape Growers Association, the University of Minnesota, and the Minnesota State Fair. It’s the only wine competition for cold-hardy grape cultivars. Winners will be announced at the state fair on August 26 at the Minnesota Grape Growers Association exhibit in the Ag-Hort-Bee building. For more information on local wineries, check out Wineries of Wisconsin and Minnesota by Patricia Monaghan. Look for The University Avenue Project Volume 2 in bookstores next month. This forthcoming book features images of people experiencing the exhibit and events at the Project(ion) Site, as well as an introductory essay by art historian, critic, and curator Patricia Briggs about Huie’s creation of “relational art experiences.” Huie also shares stories about people’s reactions to the exhibit and how he communicated and interacted with the people he photographed. The next University Avenue Project cabaret is this Saturday, August 28. Check out the great musical lineup! It’s the heart of summer, and high time to get out and enjoy it! Take a drive to the scenic St. Croix Valley tomorrow afternoon and explore this popular day trip destination with new information in hand: Deborah Morse-Kahn’s The Historic St. Croix Valley: A Guided Tour. Packed with details on communities along a 130-mile stretch from Prescott to the Wild River, this handy guide offers information on modern-day attractions and a window into this region’s storied past. 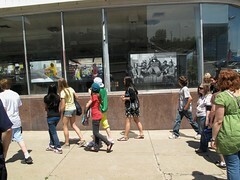 The Stillwater Tour features 31 sites and an introduction offering helpful tips on navigating the town’s busy streets. While you’re in the neighborhood, stop at Valley Bookseller in Stillwater at 2:00 pm, where Deborah Morse-Kahn will be signing. Can’t make it tomorrow? Watch for her at Magers & Quinn in Minneapolis on October 5 at 7:30. 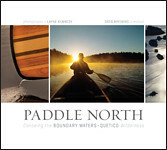 Layne Kennedy, a photographer and MHS Press author, has a new book coming out with writer Greg Breining this November titled Paddle North: Canoeing the Boundary Waters-Quetico Wilderness. The new movie starring Julia Roberts, Eat, Pray, Love (based on the book of the same name by Elizabeth Gilbert), promotes the idea of travel as a vehicle for self-examination and for soul replenishment; in this case by visiting faraway places (all of them, keeping with the theme of self-awareness, beginning with the letter “I”). Sixteen ingredients for a 2,250-mile voyage from Minneapolis to Hudson Bay! 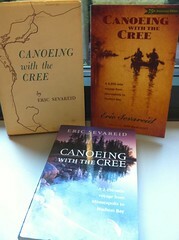 The MHS Press offers a wide range of books of interest to canoeists: over a dozen titles, ranging from Keeper of the Wild: The Life of Ernest Oberholtzer by Joe Paddock to the forthcoming, full-color BWCA book, Paddle North: Canoeing the Boundary Waters-Quetico Wilderness by Layne Kennedy and Greg Breining (available in November). Summer and early fall in Minnesota is perfect canoe time. Hope you get out there yourself while summer is winding down. 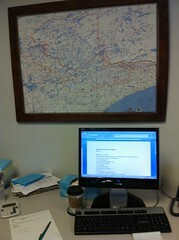 The lakes and rivers are a-callin’. Need a history fix? 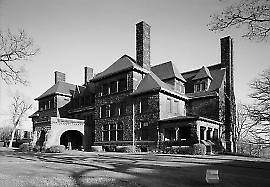 Head over to the Legacy Act-funded ampers.org for bite-sized audio clips co-sponsored by MHS, like this one on the James J. Hill House. If you would like more information on the Hill House or the other architectural wonders of Summit Avenue, check out Larry Millett’s book AIA Guide to St. Paul’s Summit Avenue & Hill District or visit the Hill House itself for the Nooks and Crannies Tour. Place limeade, ale, and tequila in a blender and top with ice cubes. Blend well and pour mixture into 4 margarita glasses. Garnish with lime wedges. To prepare tea, bring 3 cups water to boil. Pour over tea bags and brew until very red in color. Cool to room temperature. Just before serving, place ice cubes in 6 tall glasses. Pour 1 cup pineapple juice into each glass. Very slowly add 1/2 cup tea to each glass, tilting the glass to minimize blending tea with pineapple juice so that there are layers of color. Garnish with fresh pineapple, strawberries, or mint. Serve immediately. Put sherbet in a large punch bowl. Pour the 7-Up over it and stir gently. We were saddened to learn that Kevin Morrissey, MHS Press marketing manager from 1999 to 2004, died last week at age 52. Well-read, witty, and imaginative, Kevin was a key player in the Press’s significant growth spurt during those years. He knew bookselling inside out. He learned the backlist in a flash, then transformed our marketing office—overseeing a warehouse move, hiring sales reps, rolling out the Borealis imprint, and using his extensive connections to take our books into new venues. Kevin was a thoughtful reader and an imaginative publisher who always asked good questions as we shaped projects together. He cultivated an air of curmudgeonliness, but he had a beautiful smile and a kind heart. He was great fun to talk to about all the best subjects: politics, food (his descriptions of the sherbets he invented were especially inspiring), music, and of course books (but when did he read? he was always working). He was an outfielder and sometime-pitcher on the Society’s softball team, the Rhodent Scholars. Kevin left the Press to become managing editor at the Virginia Quarterly Review. Please follow this link to a University of Virginia article about his passing.